An effective and comprehensive alternative to dedicated live radar, at a fraction of the price! NEW! 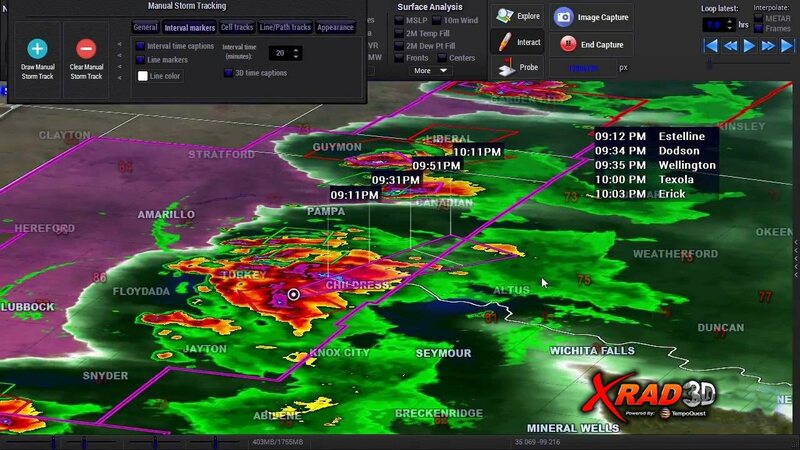 XRAD3D is an exciting state of the art LIVE radar system that is coupled with an interactive 3-D modeling engine to give you interactive and real time content for on-air weather. Utilizing the national NEXRAD radar network by connecting to radar sites directly, it provides complete real-time coverage of local, regional, and national weather events, including live-scan tracking and prediction of storm paths. Plus, the built-in suite of model data overlays gives you HD quality weather forecasting! 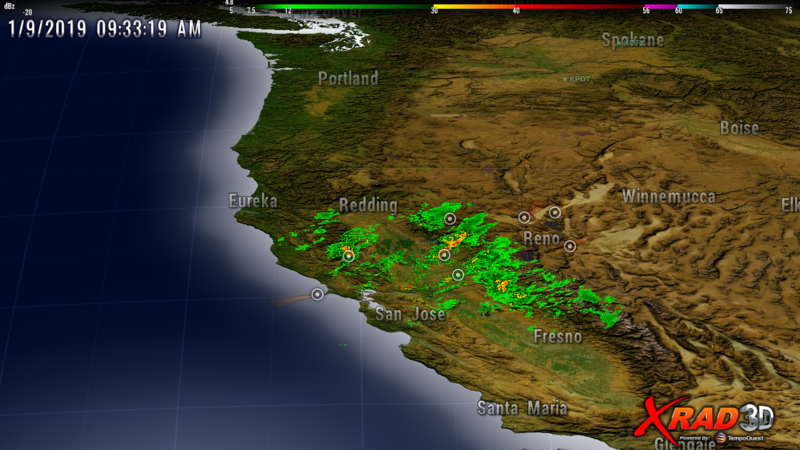 Real-time updated data, direct from the NEXRAD network, is like having your own Doppler weather radar system. It’s like climbing up a NEXRAD Radar tower and plugging your TV station into it. It’s that fast. The XRAD3D radar system contains the LiveScan™ and LiveComposite™ technologies that display moving, sub-ten-second-delay radar data for time-critical applications. You will find this capability nowhere else. XRAD3D features an advanced super-resolution 0.5km x 0.5° grid of highly practical derived products such as estimated hail size (MEHS), Wind Shear/Rotation, Echo Tops (ET), thunderstorm gusts, severe hail probabilities (POSH), and more. 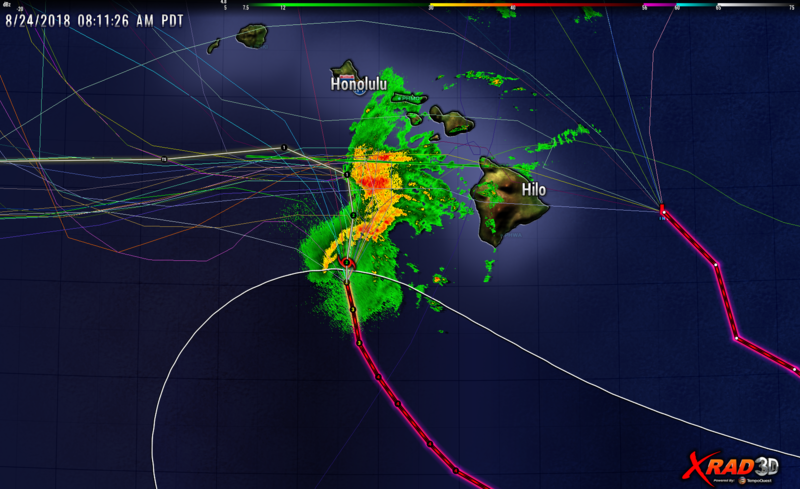 Advanced storm-cell tracking features with ETA arrival times. XRAD3D features a dynamic 3D GIS world model mapping system and is one of only a few in the world to ingest and style ESRI Shapefile data at the user’s configuration and display it with hardware-accelerated, fluid graphics – delivering precise weather graphics animations on consumer graphics hardware. Built-in street level mapping, road sign labeling, and standard GIS layers give viewers a crystal clear sense of weather and geographical space. Complete weather model and weather data support for overlay at the synoptic level and mesoanalysis level. Virtually all of XRAD3D’s data products can use our signature “time interpolation” feature which smoothly animates and displays interstitial frame values on the unified program timeline. Combined with a custom time slider bar, users can adjust map time down to the minute. or Send us an Inquiry.